Explore the stages of bread making, creative intermixing of recipes, and guidelines for converting standard recipes into no-knead refrigerated recipes! 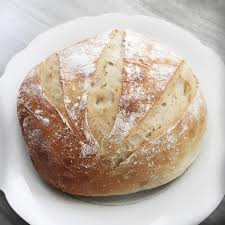 We will start with some basic recipes, introduce the levain method for sourdough, and bake many variations of breads from a refrigerated or frozen dough that is prepared in advance of baking! This course requires the ability to stand for periods of time.